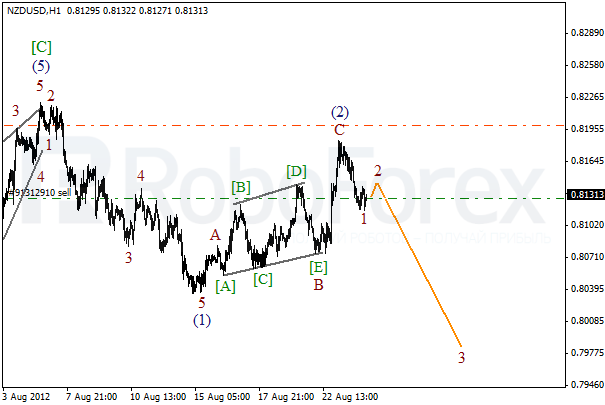 After competing zigzag pattern in wave 2, the price formed an initial descending impulse on the minor wave level. We may assume that the local correction has been finished. 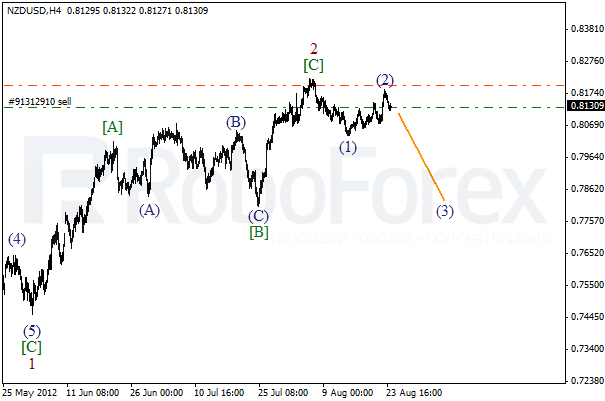 In the future we can expect New Zealand Dollar to start falling down and form wave (3). 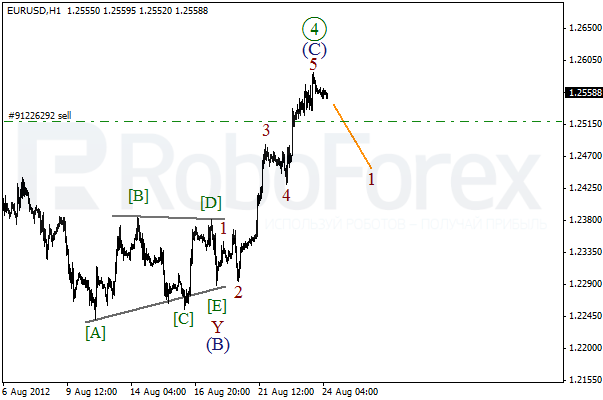 At the H1 chart we can see that wave (2) has taken the form of zigzag pattern with a long triangle inside wave B. 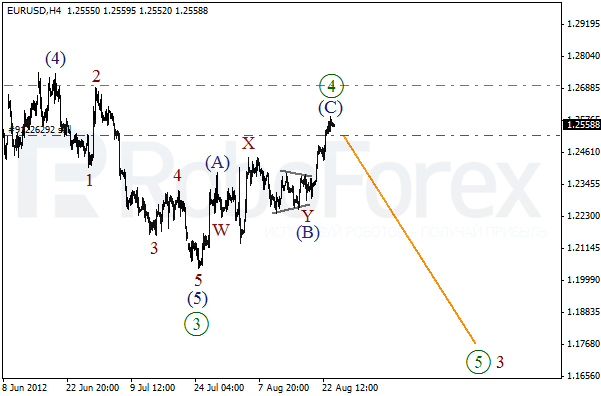 We may assume that the price has finished an initial impulse inside wave 1. In the near term, we can expect the pair to start forming wave 3. We may assume that an ascending impulse inside wave (C) is completed. Earlier the price formed horizontaltriangle pattern inside wave Y of (B). During the next several days we can expect Euro to start forming wave 1.